In preparation for an upcoming trip to the Baltics, it seemed worthwhile to revisit the topic of gratuities for services received and how the practice varies from one country to another. In North America, we tip people who provide us with a service, whether that is the waitperson or bartender at our favorite restaurant; our barber or hair stylist; the taxi or car service driver. But when we’re traveling, the range of possibilities can change in ways we might not have even considered. Traveling will bring you into contact with people who provide a range of services, and many of those should be considered for a gratuity. If you take a taxi or car service to the airport as you begin your trip, consider 10 to 15 percent for the taxi driver; 15 to 20 percent for the car service driver if it is not included in the fare. At the airport, if you use a skycap to carry or check your luggage, $1 to $2 per bag is considered acceptable. Once at your destination, you'll head to your hotel. If you use a shared shuttle, consider 10 to 15 percent of the fare for the driver, particularly if he or she is hoisting heavy bags for you. If your hotel provides a courtesy shuttle, consider tipping the driver a couple of dollars per bag. Whether you arrive by shuttle or drive yourself, when you arrive at the hotel’s front door, more people will generally handle your luggage. Some sources suggest tipping the doorman who moves your bags from the car to the bell cart while others say the only one who should be tipped is the one who actually brings the bags to your room. $1 to $2 per bag is the suggested tip for either or both. Housekeeping is probably the most misunderstood area for tipping. For a number of years, it never even occurred to me to tip housekeeping unless we had left a real mess. However, leaving a couple of dollars each day will help ensure good service. And don’t wait until the end of your trip to tip housekeeping. Many hotel staff members don’t work a Monday through Friday schedule, so the person who gets the $10 bill you left at the end of your week-long stay may have just come on duty while the others who tended your room won’t share in that sawbuck. Consider an extra dollar or so if the hotel fulfills your special requests, such as my standard request to have my room made up early in the day when I’m in town for more than a single night. Many upmarket hotels offer concierge services. It’s not necessary to tip the concierge for standard directions such as marking a map with the route to a recommended restaurant. However, special services warrant special attention. If they were able to get you tickets to a sold-out show or used their connections to get you hard-to-get reservations at that special restaurant, then show your appreciation proportionately. But don’t expect miracles. Some years ago, I became acquainted with a concierge who was working at a major hotel in downtown San Francisco when Oprah Winfrey and her entourage arrived. Oprah wanted to have dinner at the vaunted French Laundry in the wine country town of Yountville before heading back to Chicago in just a few days. Those who are familiar with the restaurant know that reservations must be made two months in advance. According to an article in the San Francisco Chronicle, the establishment literally stops answering the phone when it has filled its reservations calendar for the date 60 days hence. And no, the concierge was not able to convince it to make an exception for Oprah. Tipping at bars and restaurants in hotels is no different than those outside: 15 to 20 percent for good service, more if something was exceptional. If you’re simply enjoying a pre-dinner drink or a nightcap at the bar, the minimum tip should be a dollar per drink regardless of the 15 to 20 percent guidance; more if the drink requires a lot of preparation, such as a hand-muddled Mojito or a true Old Fashioned. Tour guides also derive a significant portion of their income from tips. One tour operator in Sweden told TheTravelPro, "A large latte in Stockholm costs approximately €5 and a paid tour costs €15-25. I think most guides would hope to be tipped something in that fairly broad range according to their performance and your satisfaction. " When traveling outside one’s home country, become informed about the local customs and – this is important – plan to follow them. In the United Arab Emirates (U.A.E. ), which was a recent destination, tipping is much the same as in the U.S., though the amounts tend to be smaller. For example, a tip of 10 to 15 percent to reward good service in a restaurant is acceptable, while 15 to 20 percent is more the norm in the states. For a taxi driver, round the fare up to the nearest note if the driving was acceptable. Food delivery personnel, valet parking assistance, bell persons all warrant tips of 5 to 10 U.A.E. 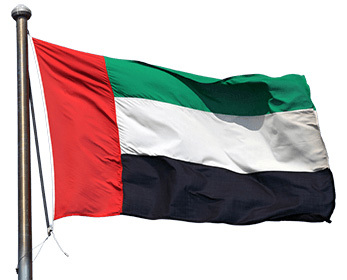 Dirhams (AED), while a guest might hand a supermarket bag packer a few coins up to AED 5. There is an additional caveat: in the U.A.E., tips – including, in some cases, the “service charge” or “fee” added to restaurant bills – don’t always go to the person providing the service. A visitor who wants to reward good service directly should ask the staff if they receive the tips and, if not, discreetly slip them cash directly. Guests can also ask to have the service fee removed from the bill. In other destinations, tips were not expected at all. "In New Zealand we are a non-tipping culture. It is not expected at all," my hotelier in Chirstchurch told me. "You may see the occasional tip jar in cafes and restaurants for exceptional service. Or it is appreciated with taxi drivers that you round up to the nearest dollar to help them with change etc. Other than that, it is not expected." The same is true in Denmark. Tipping in Japan and China is actually considered rude. If it is necessary to give a person money in Japan (other than a clerk at a shop or store), it is considered particularly uncouth to simply hand them cash; it should be placed inside an envelope to maintain discretion and decorum. 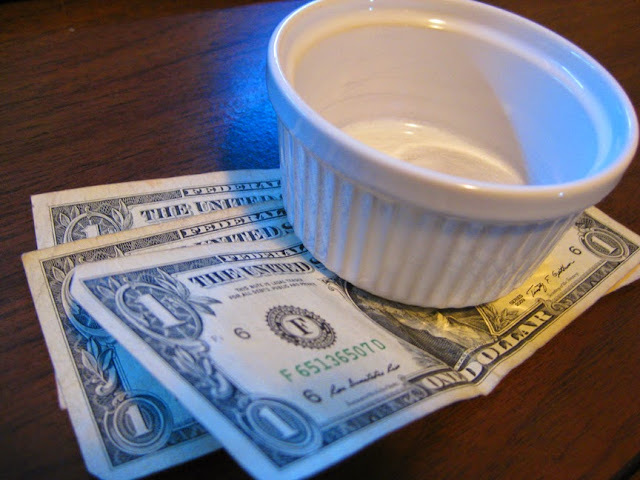 If you’re in Europe, servers are paid a higher base rate than in the U.S., so a smaller tip is considered acceptable. Rounding up a bill is often sufficient in Switzerland and Germany, but target 10 percent of the bill, more or less; for example, rounding up a €37 bill (never a “check”) to €40. On a €95 bill, round to €105. In Poland, where tipping is usually left to the discretion of the guest, a 10 percent tip is considered a good tip. In Norway, a 10 percent service charge is typically included in the bill but double-check the bill and leave 10 percent if it is not. In other places, the service charge doesn't always cover the full tip. In Aruba, 15 percent is automatically added to the bill, but this is split among all the service categories, including servers, bussers, and kitchen staff. If you receive particularly good service, an additional 5 to 10 percent given directly to the server will be appreciated. If you’re a resident of another country and are traveling to North America, you are on the other side of the scenario and may find yourself faced with doing something that is (pardon the pun) foreign to you. However, understand that in the U.S. and Canada, a gratuity - particularly at a bar or restaurant - is the norm, in part because service personnel earn very low base wages. In a bar or restaurant setting, 15 to 20 percent should be added to the bill, depending on how good the service. In some instances - such as when party size is greater than either six or eight, or in certain geographic areas like Miami, Florida - establishments will add an automatic gratuity but this is not usually the case. I have read comments from people who simply refuse to do elsewhere what they don’t do at home. That type of behavior reflects poorly on them as individuals and, fairly or not, often on their entire country. Further – and let’s be honest here – taking the position that, “I won’t do here what I don’t do at home” is simply an excuse. If those people were traveling somewhere that tipping was frowned upon or considered rude, I sincerely doubt that they would insist on tipping because “That’s what I do at home.” And if those people truly believed in following their home practices regardless of the where they find themselves, they would insist on driving on the same side of the road as “at home.” That would be fine if they were from most of Europe but if they were from the U.K., Japan, Australia or New Zealand, it wouldn’t work out very well in North America. Finally, carry a fair number of singles when you're traveling, whether dollar bills in the U.S., Loonies in Canada, or €1 coins in Europe, to ensure you have a cache of cash at hand. (Sorry; couldn’t resist the word play).